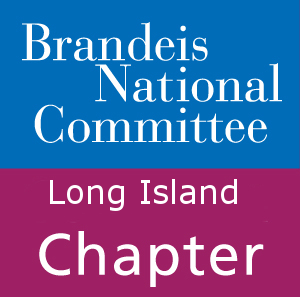 Welcome to the Long Island chapter of the Brandeis National Committee! We are a lively group of people from the Long Island area who are curious about our world and committed to supporting Brandeis University. We aim to emulate the commitment Brandeis University displays towards academic excellence, a love of learning, and social justice while enabling students to do the same. Through our support Brandeis University is able to maintain its libraries, student scholarships, and scientific research, all of which contribute to making it an exceptional institution. While some of our members are Brandeis alumni or family of alumni, the majority of members are not. There is no Brandeis affiliation requirement to be able to join BNC Long Island, only a love of learning and justice. We provide our members outlets for these desires through study groups and community service projects. Our study groups are designed to be entertaining, educational, provoke discussion, and encourage friendship and fun. In order to ensure all members can fully participate in what the chapter has to offer, study groups span a wide range of topics. In past years these have included theater, current events, law, literature, and food. Our study groups and events are a great way to meet new people or spend time with old friends. We are always on the hunt for new ideas for future groups and events! At the start of each BNC season we host Open Meetings that everyone is welcome to attend. If prospective members are interested in getting to know the chapter or have questions to ask in person, come along to a meeting and bring friends. We look forward to meeting and learning with both our new and returning members in another exciting BNC year! If you have any questions, please don’t hesitate to reach out to our current president, Doris Brill, at ralphdoris@aol.com.